Feast on the exotic flavors of Brazil with a first-of-its-kind food history and cookbook of this extraordinary cuisine. What is The Brazilian Table? 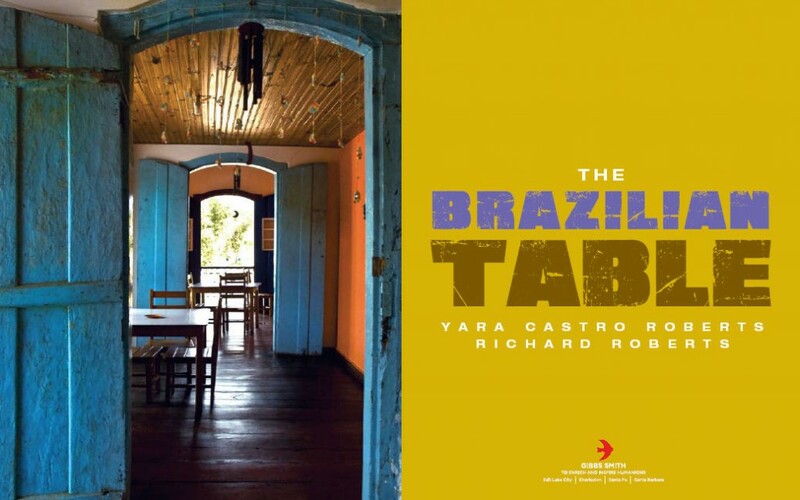 Authored by master chef Yara Castro Roberts-the first Brazilian chef to write about Brazilian cuisine in English. She gives an intimate look at the regions of Minas Gerais, the Amazon, the Cerado, and Bahia from a food perspective, not only introducing one hundred delicious recipes but also providing an in-depth cultural lesson on the regions and their unique foods. The Brazilian Table also features photography by Richard Barclay Roberts. On December 19 you can see Yara in a half-hour program about the Academy of Cooking & Other Pleasures, our cooking school in Paraty, that producers for PBS/National Geographic channel filmed here last July . It will premier on PBS channels in the US and Canadian market – Boston NY, San Francisco, Toronto (at the least). The series is titled “Gourmet’s travels with Ruth”, and ours is the only episode filmed in South America. LIZ CALDER: ” marvelous. This is the book we’ve all been waiting for”. Liz Calder is co-founder and retired Editor-in-chief of Bloomsbury Press who published Salman Rushdie, Julian Barnes, Michael Ondaatje, Margaret Atwood and many others. She is also the co-founder of the annual literary festival in Paraty, Brazil (FLIP). JESSICA HARRIS: “Yara’s cooking is as amazing as Brazil’s history. She takes the reader in a culinary tour…from the palm oil hued dishes created by enslaved Africans from Salvador da Bahia to the dishes inspired by the Portuguese inspired courts passing through the food of the native peoples from the Amazon region, with a gracious nod to the nation’s newer immigrants and a salute to her home state of Minas Gerais… and regales us with anecdotes from her childhood along the way.” Jessica B. Harris is the author of eight critically acclaimed cookbooks documenting the foods and foodways of the African Diaspora. She has also written for most of the major food magazines Including Gourmet, Food & Wine, Cooking Light, and Eating Well. You are currently reading Welcome to The Brazilian Table at The Brazilian Table.